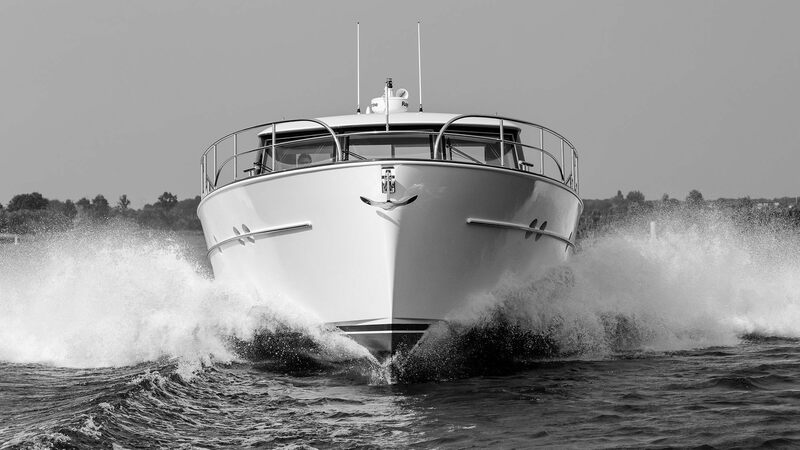 Mulder Shipyard was established in 1938 by Dirk Mulder Sr. With a Mulder still at the helm, this traditional family business is one of the leading lights in the Dutch yacht building industry. Over the decades, the shipyard acquired a global reputation. In the course of our business, it is sometimes necessary for us to ask you for personal data and to process this data. When we do this, we always act with the utmost care and in accordance with the law. In this Privacy statement, we indicate what personal data of yours we process when you visit one of our websites and provide your personal data, how we do this and what rights you have in that respect. If you use one of our products or services, we can collect and process your personal data. For instance, this could be the personal data you provide when you fill in a contact or interest form, apply for a job via our website, sign up for a newsletter or request a brochure, or it could be the data that we collect when you use one of our websites and other services, such as events and campaigns. To offer products and services. When using the term personal data, we are referring to any information regarding an identified or identifiable natural person. We process personal data in accordance with the prevailing legal obligations and solely for the purposes for which we have obtained these personal data. We only process your personal data if you have given permission for same when you provided your personal data, if we have a legitimate interest in same or if we are required to meet a legal obligation. You may withdraw your permission at any time. We will then no longer process your personal data, unless there are legal grounds for same. We or a third party have a legitimate interest that justifies the sharing of your personal data. For instance, we may share your personal data with third parties if this is necessary to execute an agreement between you and Mulder. If we provide third parties with access to your personal data, we do so solely if we are certain that this third party will use your personal data solely in a manner for a purpose that is related to the purpose for which we obtained your personal data, and only in accordance with legal requirements. We close a processing agreement with third parties that process your personal data at our behest, such to ensure that the security of the personal data to be processed meets all legal requirements. Mulder remains responsible for this processing. In some cases, we are obliged by law to pass on personal data to third parties, such as the police. We may also be subject to a legal obligation to pass on personal data if this is necessary in the interest of state security, the prevention or detection of criminal acts or if the interests of other people are at stake. In all other cases, we may only provide third parties with your personal data if you have given express permission for same. You can object to the use of your personal data, for instance if you believe that use of your personal data is not necessary for the execution of our activities or to meet a legal obligation. You may object by sending a letter clearly stating what you are objecting to, complete with your name, address, telephone number and a copy of a valid proof of identity to info@muldershipyard.nl. Please do not forget to obscure your BSN on the copy of your ID document before you send this. We will make sure you receive a reply within four weeks. In the case of complex requests, this term may be extended by a second term of four weeks. You have the right of access to your personal data. This means you have a right to submit a request for information on what personal data of yours has been registered and the purposes for which this is being used. If you believe we have incorrect personal data about you, you can have this personal data corrected. You also have the right to ask us to restrict the processing of your personal data, including during the period of time we need to assess your requests or objections. You can ask us to erase your personal data from our systems. We will comply with your request, unless we have an urgent, legitimate interest in not erasing the personal data that outweighs your right to privacy. If we have erased your personal data, we cannot for technical reasons immediately erase every single copy of your personal data from our systems and back-up systems. Finally, you have the right to ask us to cooperate in the transfer of your personal data to another party. We will only refuse your request if a request is submitted with unreasonable frequency, requires an unreasonably major technical effort or has an unreasonably major technical impact on our systems, endangers the privacy of others or is extremely impractical. You can submit a request in the manner described in point 6. We would also like to alert you to the possibility of submitting a complaint to the Dutch Data Protection Authority, via www.autoriteitpersoonsgegevens.nl. We retain personal data no longer than is strictly necessary for the purposes for which the personal data was collected, unless there are legal grounds to retain your data for longer. We take the protection of your personal data extremely seriously and we take all reasonable, appropriate, technical and organisational security measures to prevent misuse, loss, unauthorised access, destruction, unwanted publication and unauthorised changes to your personal data. In the unlikely event that, despite all the security measures we take, there is a security incident that is likely to have a negative impact on your privacy, we will inform you of this as quickly as possible. We will also inform you of the measures we have taken to limit this impact and to prevent this from happening again in the future. The party responsible for the processing of your personal data is Jachtwerf D. Mulder B.V., Hoge Rijndijk 277 2382AN in Zoeterwoude, Chamber of Commerce (KvK) no. 28026709. Mulder Shipyard reserves the right to unilaterally change the provisions of this privacy statement. We will publish any changes on our website, where you will always find the most up-to-date version. We advise you to visit the website on a regular basis.